Ross Management Group is proud to announce STAR Momentum – a training company for affordable housing professionals. Standing for Section 8, Tax credit, Affordable housing, Regulatory compliance and Market-rate housing, STAR Momentum courses encompass the training, tips and tools necessary for top-notch compliance. 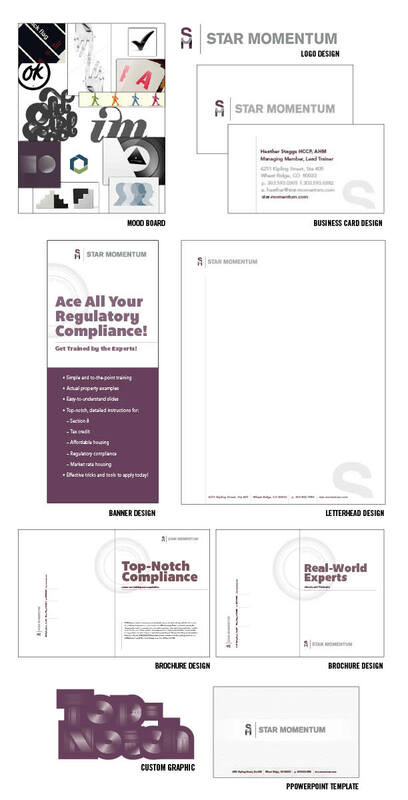 Big Buzz Brands has been working away to create a suite of marketing materials for the new organization, such as logo, business card, letterhead, envelope, PowerPoint presentation and banner design. To learn more about STAR Momentum’s training offerings, call 303.593.0305!